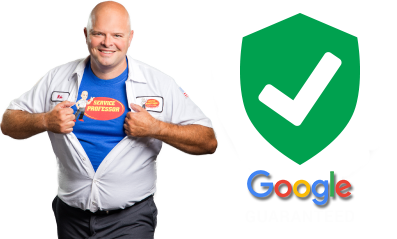 Furnace and Air Conditioning Repair Grand Rapids MI | Service Professor Inc. Your Grand Rapids Plumbing, Electrician, Heating and Cooling Experts! We offer financing to help you get the service or equipment you need. You don’t have to let a small budget keep you from getting what you need. That’s why Service Professor offers promotional financing options in conjunction with Synchrony Bank. Proud to be West Michigan’s heating and cooling, plumbing, and electric company! Since 1978, customers have trusted us to deliver exceptional service and the highest quality work at every visit. Our team is committed to the safety and comfort of your home and family, and we believe you deserve our very best. Whether it’s a heating emergency or a household electrical project you need help with, you’ll receive 5-star service. With our up-front price promise and satisfaction guarantee, you can feel 100% confident in your decision to work with us! We are Michigan’s choice for routine maintenance and emergency repairs services. We are the home of the $99 Anytime Drain & Sewer Opening! When we’re in town, drains go down! Our work speaks for itself as well as our clients and the referrals they keep offering for our service. When you need professional plumbing, electrical or air conditioning and heating services in West Michigan, consider the company you can count on. Trust your investment to the professionals in West Michigan. Let Service Professor keep your home or office safe and working to keep you happy. 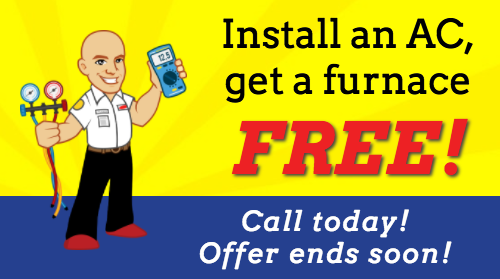 Schedule a service call today. 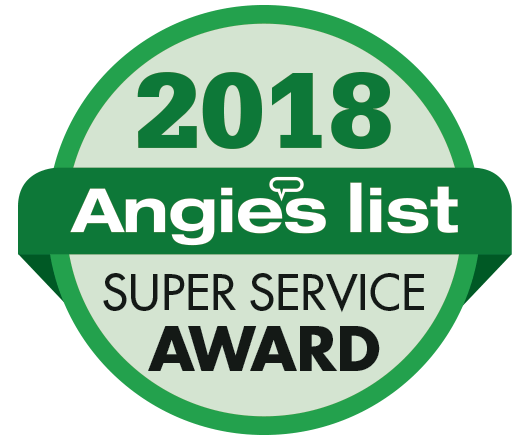 Our certified technicians are ready to help with: Air Conditioning repair, Air Conditioning replacement, furnace repair, furnace replacement, boiler repair, geothermal systems, plumbing emergencies, water heater repair, water heater replacement, leaky faucets, clogged drains, sewer repair, sewer replacement, broken toilets, electrical panel replacement, outlet repair, outlet replacement, generator repair, generator installation, and more. Call Service Professor today to learn more! Is your furnace or air conditioner costing you money from excessive repairs and declining efficiency? Is the air in your home making your family sick with allergies? Call Service Professor today to schedule a no-cost, no-pressure appointment with our Comfort Consultant. Learn how newer, high-efficiency AC and furnace systems can save you money and improve your family’s health! We install quality Lennox furnaces, air conditioners, and humidifiers; ask us about our high-quality Titan comfort systems too! Household emergencies never happen when we want them to. Service Professor is here to help whenever YOU need us. Call anytime and you’ll speak to one of our friendly customer service representatives to schedule an appointment when YOU need it. Our professional and courteous technicians are ready to take care of all your heating, cooling, electric, or plumbing emergencies! Service Professor is a family-owned close-knit company that values quality and service. We offer a total home comfort solution that you can count on. With a combination of superior service, quality technicians, and modern equipment, we keep your home or office comfortable. Our personalized approach to each project gives us a chance to get to know our clients and ensure that they understand all the job requirements in depth before we start working. We never pressure you to start immediately as we want our customers to feel comfortable with the job to be done. Our technicians always come prepared to start your project once you give the go ahead. Our fully stocked service vehicles and well-trained and knowledgeable staff are equipped to service your electrical, plumbing or HVAC needs. We focus on delivering excellent workmanship and place emphasis on proving our clients with value-based solutions to their problems. As part of these solutions, we offer warranties and guarantees on all our jobs. The aim is happy clients with safe, efficient, and functional homes or offices. When you call Service Professor you know that you are getting superior service from a Better Business Bureau A+ rated company and a top recommended Yelp company in West Michigan. That means a detailed analysis of your household problems and a comprehensive explanation and plan of all that needs to be done. Service Professor has consistently been voted as one of the Best and Brightest Company to Work For by the National Association for Business Resources. We are committed to making our company a great place to work. And this results in the exceptional service quality our technicians provide to all our clients. The services we offer are crucial to the efficient running of your home or business. They are important to your indoor comfort. That’s why your contractor must pay critical attention to workmanship when it comes to your HVAC, Plumbing, and Electrical needs. We have to get all the jobs right the first time so that you are comfortable in your space. We are a full-service heating and cooling company with certified and licensed technicians for all types of repairs and servicing for heaters and air conditioners. No matter the brand or model units, our technicians can service and repair it. They will answer all your questions and show you the best options for maintaining your HVAC systems efficiently. From air condition to furnace repairs, we will help you maintain a comfortable indoors, quality internal air, and extend the life of your units. From upgrading your electrical panels, getting your building up to code, installing new fans or lighting, rewiring and other electrical services, Service Professor keeps your home or office safe and functional. Our licensed electrical contractors have a wide array of experience with servicing Michigan homes and offices and ensuring that their electrical needs are met. The trained and certified plumbers of Service Professor provide a variety of plumbing related services throughout West Michigan. These include plumbing inspections; sink, tub, and faucets installations, repairs; toilet replacement and installations; garbage disposal repairs and installations; trenched and trenchless sewer and drain line cleaning and repairs. As a comprehensive package of plumbing, HVAC, and electrical services, we can help you with new constructions, renovations or just ongoing maintenance so that you are comfortable in your home or office.